During my most recent pick with Operation Fruit Rescue Edmonton, the grower was handing us piles of fresh garden-picked cucumbers. Much to my chagrin, I HATE cucumbers. (It seems as though I am posting about veggies I really don’t like lately. Interesting trend!) I decided that the only fate for these pretty cukes would be pickledom. And so my journey into canning begins! Check out these monsters! Almost as big as my zucchinis! 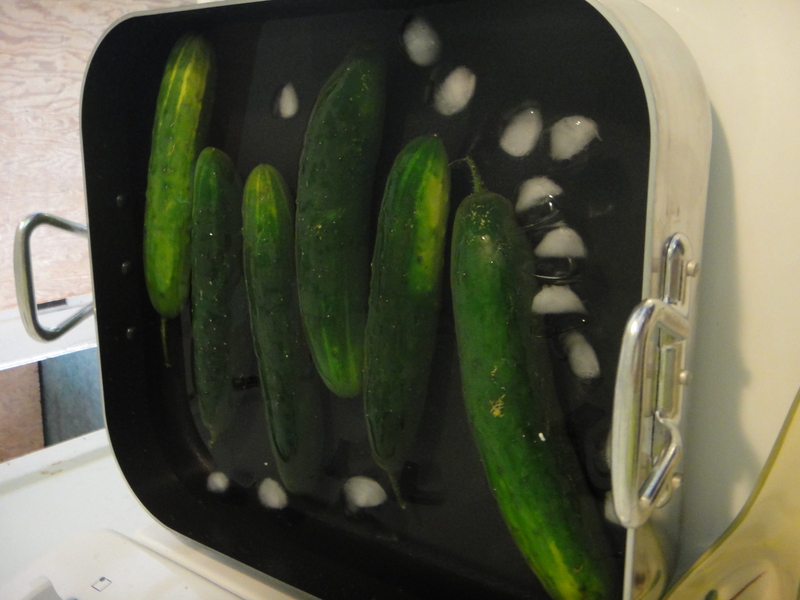 The recipe I tried recommended that I soak the cukes in ice water for at least 2 hours before starting, to help make the pickles as crunchy as possible. I liked this idea! When the soaking is all done, cut them up into pickling shapes. I opted for long and sliced pickles, for eating, as well as for sammies. 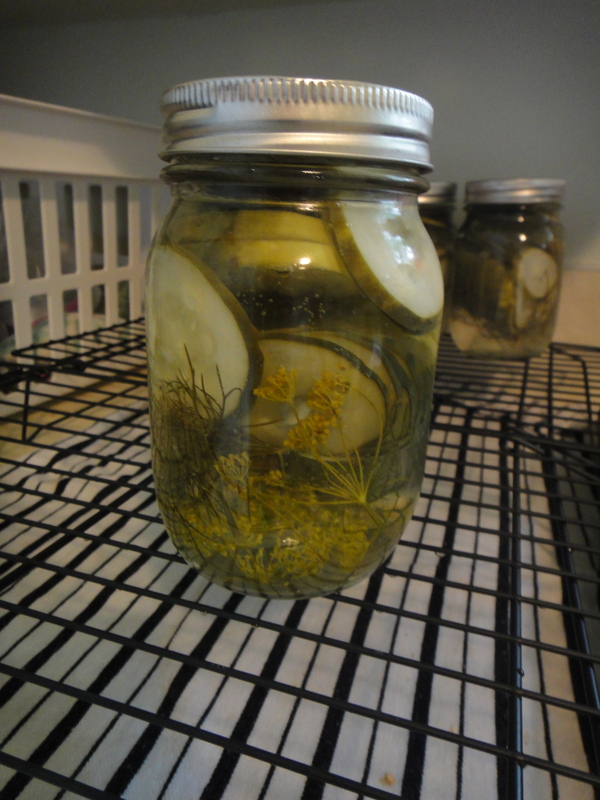 While you are creatively shopping your cukes, begin sterilizing your mason jars. 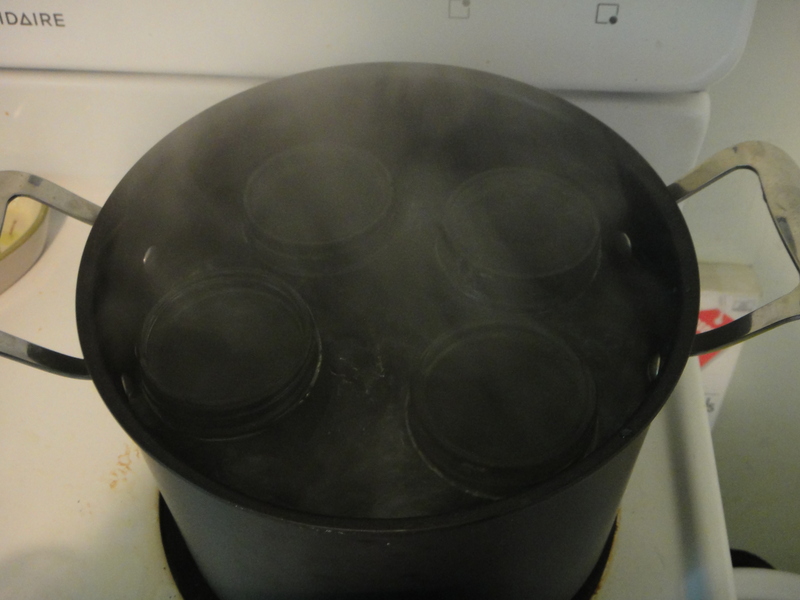 Each jar needs to be boiled for a minimum of 10 minutes. You can also begin to boil the brine. 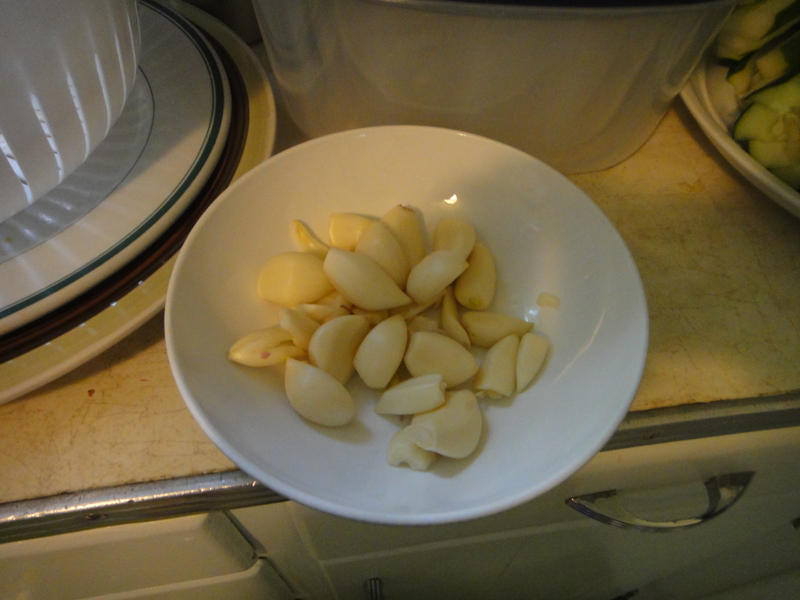 Here they are, nice and peeled, thanks to my handy garlic peeler! 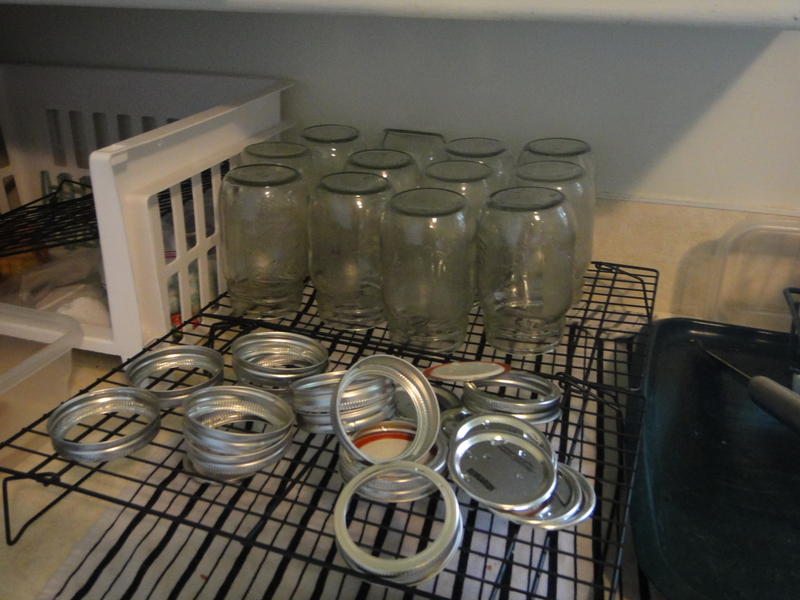 Once sterilized, let the jars cool on a cooling rack for a while. 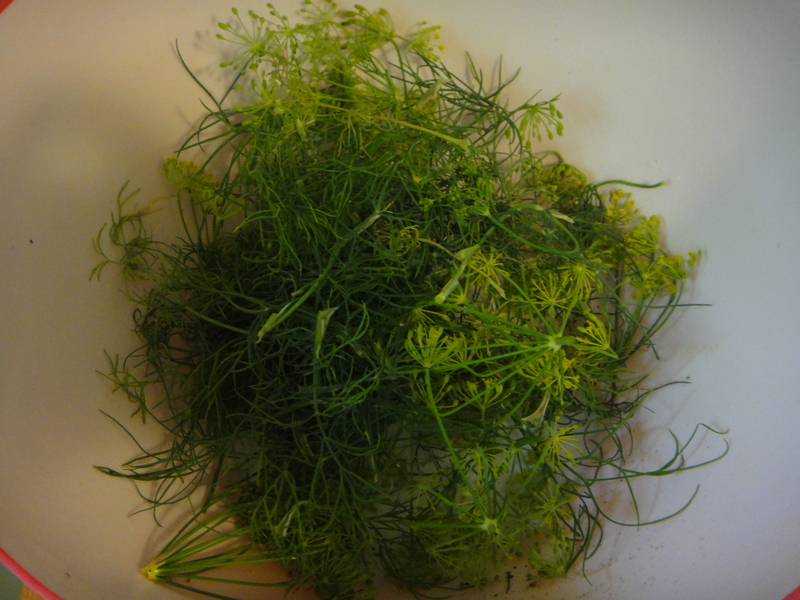 Begin prepping your dill by cleaning and removing all the dill weed and flowers. What a beautiful bowl of dill! 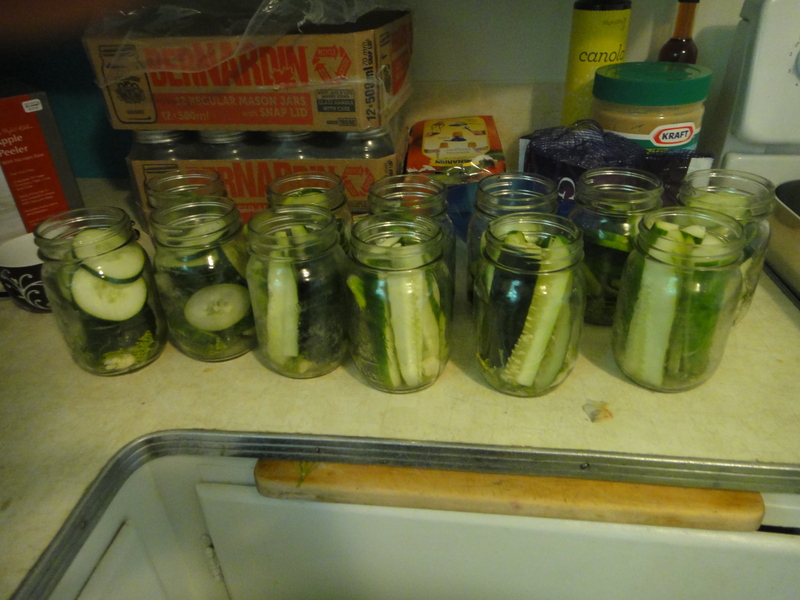 Fill each jar with even amounts of cucumbers, garlic and dill. Then add the brine and seal the jars. Boil the jars for about 8 minutes each. Here they are! Beautiful pickles. These are going to add a lot to some future sammies! They can last up to two years in a cool dry place. Into the basement they go for safe keeping! 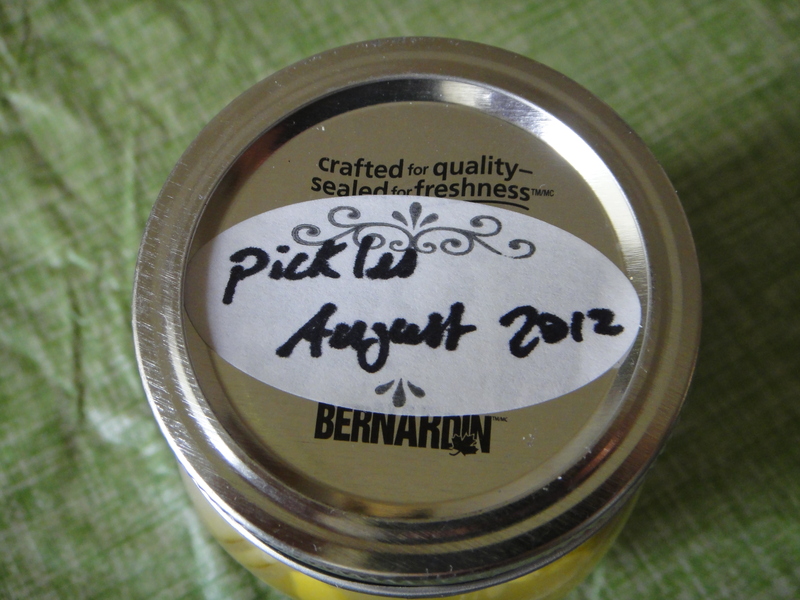 Jacquie’s Awesome Homemade Pickle Recipe! 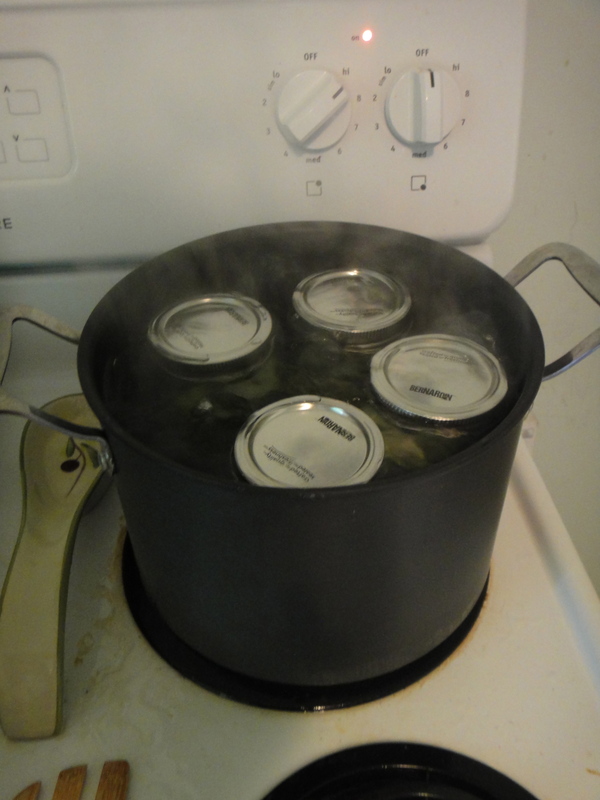 Sterilize jars by boiling them on water for 10 minutes each. Cool on a cooling rack. While you are waiting, slice cucumbers into different shapes. 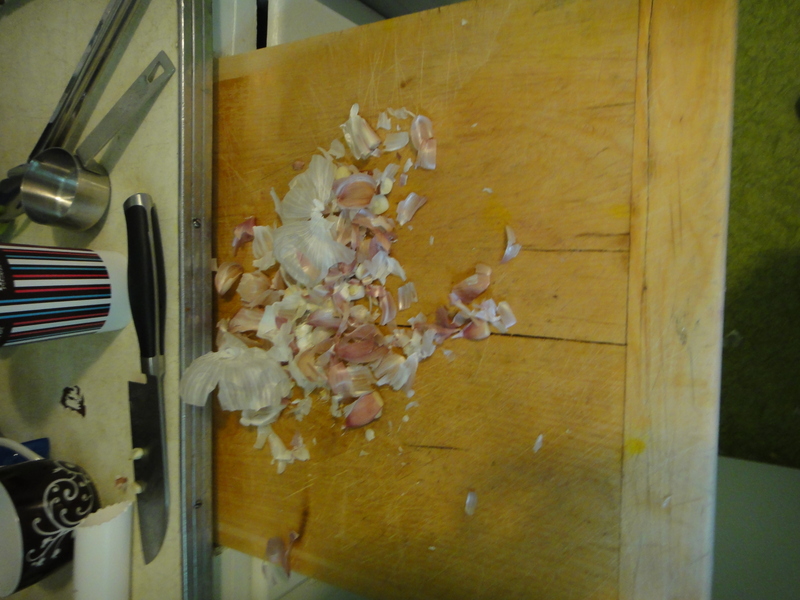 Peel 2 heads of garlic, and slice each clove in half. 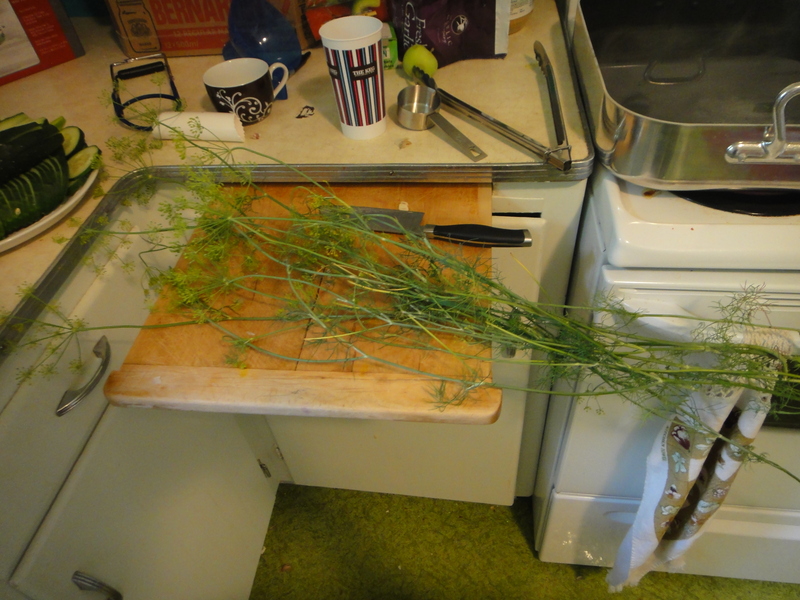 Remove dill flowers and dill week from stems. 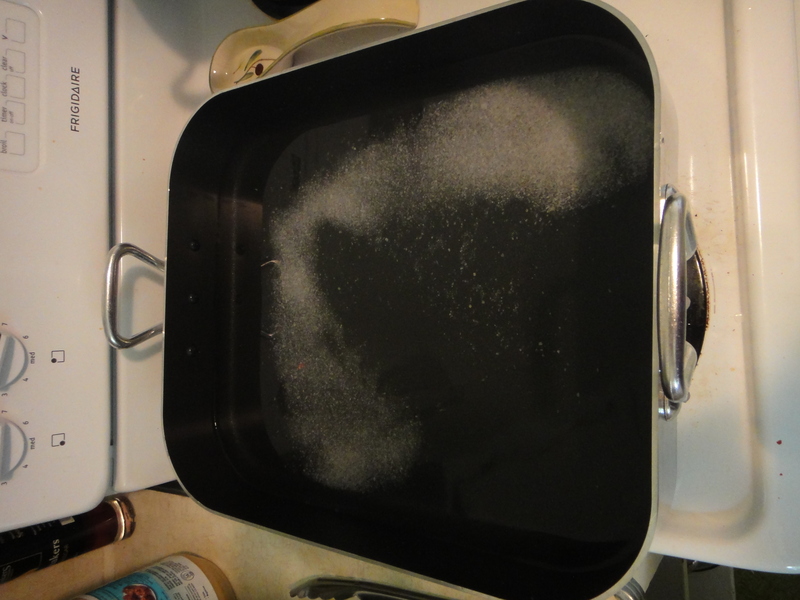 Begin preparing brine by combining water, vinegar and salt and bringing to a full boil. 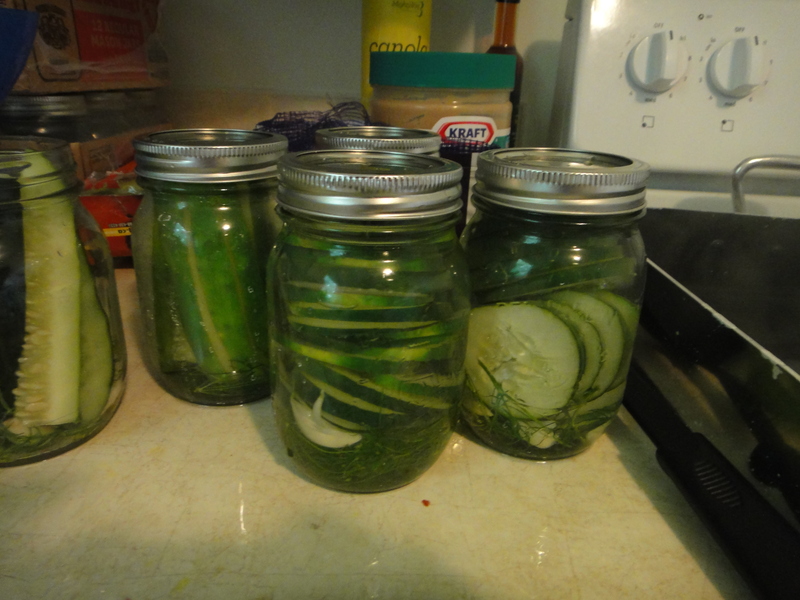 Evenly distribute cucumbers, dill and garlic into mason jars. Fill each with brine and seal tight. Boil each jar for a minimum of 8 minutes. Cool again on a cooling rack. Can be stored in a cool, dry place for up to 2 years (if they last that long!). Enjoy! Okay, now it all makes sense. 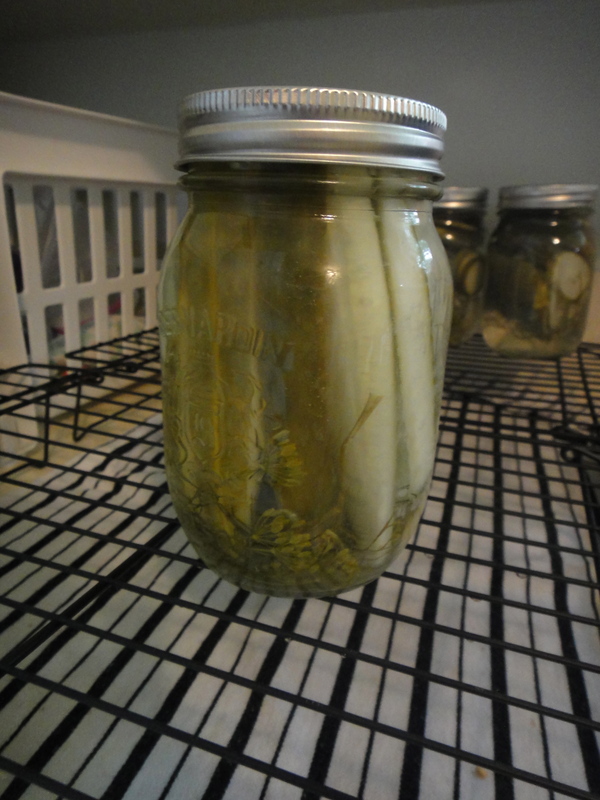 I was wondering why your cucumber sandwiches from the Royal wedding post was pickled (albeit overnight). Nice post!